SEDENA initially denied the massacre saying that the 22 men, suspected members of the La Familia Michoacana cartel were killed in a firefight. However, forensic evidence and witness testimony suggested that they men had surrendered, and were executed extrajudicially, one by one. Mexico’s human rights commission now confirms that the SEDENA soldiers altered the crime scene. In addition to the 7 soldiers charged with murder, 28 officials are being investigated for the coverup which allegedly included the torture of detained witnesses. The U.S report, authored by a human rights working group under the Northern Command acknowledged that the case raised “alarming questions about the widespread nature of cartel violence in the region and the level of government complicity.” Yet Tlatlaya isn’t the only place where SEDENA troops aren’t trusted, and the Army isn’t the only U.S. institution who’s unwilling to fund them. The DEA has slowly shifted funding away from SEDENA after it earned a reputation among law enforcement officials for corruption and brutality, according to a source familiar with DEA operations in Mexico. Instead, the agency has fed more work to SEMAR, the Mexican equivalent of the Navy and Marines. The DEA did not immediately respond to a request for details on its partnerships with SEDENA and SEMAR. In the wake of the murder of the 43 Ayotzinapa students in Guerrero last fall, questions continue to be not just about corruption, but active participation in cartel operations and SEDENA misdeeds. The federal government denies any involvement in the disappearance of the students, putting the blame squarely on local officials. In the Ayotzinapa case, it’s clear that the local mayor and some local police officers were involved in the disappearances. However, early confessions by local officials may have to poisoned by coercion. Like officials who tortured witnesses in the SEDENA cover-up, federal interrogators in the Ayotzinapa case raised more questions about the government than answers. According to Michael Evans of the National Security Archive (which revealed the Bottom Line Up Front document), the U.S. and Mexico have stronger security ties than ever before. Those intelligence exchanged have yielded many victories for the DEA and others, including the recent capture of top cartel leaders. However, Mexican military embarrassments are flying in the face of ongoing security initiatives that form the cornerstone of America's War on Drugs. Unless SEDENA can correct its apparently system problems, U.S. agencies will continue to move to other agencies. 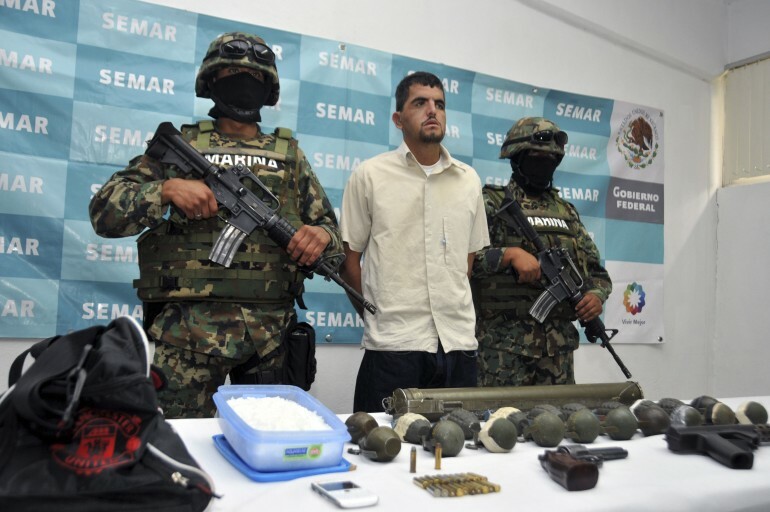 What’s to say that SEMAR, the Mexican Marines, won’t absorb corrupt practices as their role in counter-narcotics is elevated? Given the string of misdeeds committed by so many of Mexico’s law enforcement agencies, American taxpayers funding the fight may have some questions of their own.